HIDIVE has announced they have acquired the streaming rights for the dubbed version of the highly acclaimed Made in Abyss. The Show will premiere on October 23, 2018. New episodes added weekly every Tuesday. This version will be available to users in USA, Canada, Ireland, New Zealand, the UK, and other select territories. 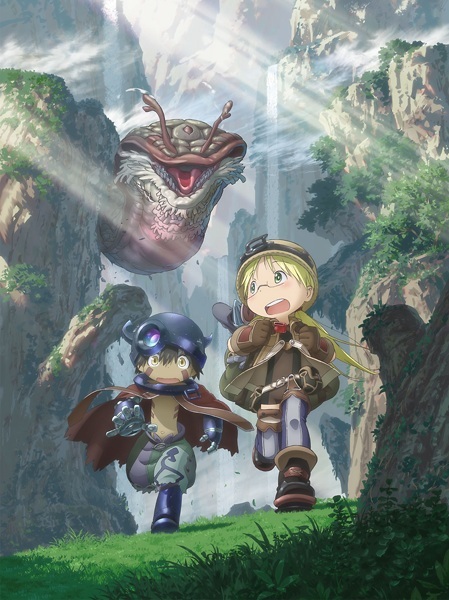 Garnering early critical acclaim and quickly becoming a fan favorite, MADE IN ABYSS has become a modern anime masterpiece that weaves a darkly intriguing fairytale within a veil of innocence. Explore the “Abyss,” an enormous, treacherous cave system filled with ancient relics and strange creatures, with Riko and her new robot companion, Regu. While only the bravest of adventurers, known as Cave Raiders, dare to traverse its depths, Riko and Regu are tantalized by the mysterious realms and promise of adventure. As the pair dive deeper and deeper into the unknown, there is no telling what they’ll discover in the darkness. Next Post:Telltale Games Shutting Down?